This month McD seems to be very generous leh. First McD giving 1 Million Free Frozen Coca-Cola/Fanta from 1st of April till end of April or when it reached 1 Million cups whichever is earlier. Mamarazzi only got to know about it few days ago through Kor Kor Sherman. Went and claim lor....not the big size one la but small size...just nice for me. Then Mamarazzi saw they having McDonald’s National Breakfast Day today and they are giving out 1000 Egg McMuffins per outlet. Waiting for what? 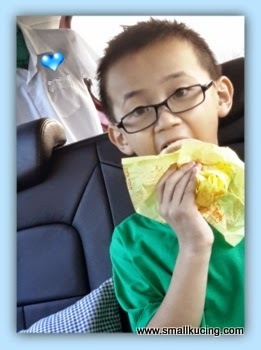 This morning of course before go to school we zoom zoom to McD nearby our house la. Fuiyo....hehehe....so early ...got coupon number 37 and 38. And also got myself a Egg McMuffin for breakfast. Awesome! 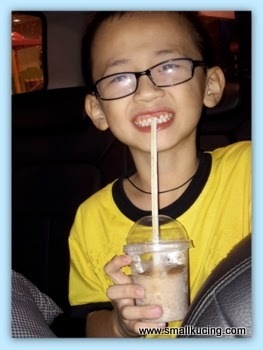 Thank you very much to McDonald Malaysia for this awesome treat. Generous way of giving back to the society. Kudos to Mc. I like McEgg and used to love it so much when I was a kid many years ago.. Then I remembered it stopped, then recently got McEgg again.. And now got Egg McMuffin, sedappp... Love the tomato sauce and chopped onions, sedapppp.. Can eat 10 biji! Got kah? Nationwide? Here got or not? Don't think I will go though as in the past, anything free or cheap, special offer...still dark, people already queuing. No, thank you. Lucky us..no need q like that. Only just go in..wait 3-4 mins can get liao. This is M's annual giveaway? I remember my son queued for a free one last year. yeah yeah.. McD is giving away lots of freebies this month leh.. besides the free Frozen Coke/Fanta, the free Egg McMuffin, one more thing maybe Mamarazzi didn't know leh.. one day in the beginning of the month, McD is paying for the first 1000 cars at dunno which toll, and then also the LRT fares for the first 1000 passengers at KL Sentral.. woot woot!! nice publicity marketing they are doing huh?? instead of spending millions on media advertising, Uncle SK guess now giving away freebies is the new effective advertising.. I think this was not announced ahead, so there were 2000 surprised people on the blue Monday!! nice kan?? Ours is near uni..but coz not many people in this area so easier lo. Wah, makan free. So nice! Have to queue long or not? I always scared of the queue. Wow, that's so lucky to get there so and get free breakfast! I like the egg macmuffin too! You just gave me a yummy breakfast idea, lil kitten ... will bake some salty biscuits, put on a slice of tomatoe, poached egg and just a few bacon bits ... smiles ... Love, cat. 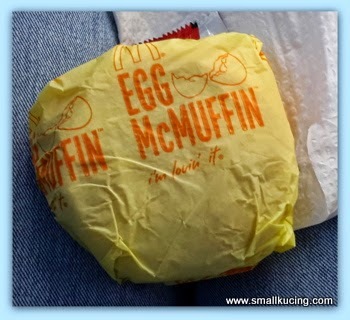 The Egg McMuffin goes really well with Hot Black Coffee, perfect for a morning boost! Wah! Your mama is not a Kucing but a Tigress!! So fast zoom zoom and grabbed a drink & Egg McMuffin! That's my favourite muffin. as for today's free mcmuffin.. I was too busy to go and queue for it :x But so glad that you got both.. hehehehe..
Yea, saw about this too but din't go and get la! Then Starbucks also got buy 1 free 1 the other day. Wah! So nice can get free breakfast and you ate it on the way to school? Wow, so nice. I didn't know about it at all.